Experience a blend of continental flavor from African wildlife to Balinese paradise in Southwest Florida. Journey from Nashville to Tampa where the first stop is Busch Gardens. The park transports adventurers into a land of discovery and thrill, with abundant wildlife and high-speed coasters. From the Myombe Reserve to the Serengeti Plain to the Edge of Africa, get a close up look at rhinos, wildebeests, antelope, crocodiles, cheetahs, gorillas and more. Each habitat replicates the diverse terrain of the continent. There are several thrill coasters to brave. One of the more enjoyable rides where eyes are recommended to remain open is the Cheetah Hunt. It feels as if riders are on the back of a cheetah as it chases prey. There are sharp twists and turns through trees and past a waterfall, making it one of the most unique experiences. Another coaster, the Kumba, can be best described as a smooth coaster, with high speed drops and turns but without the drastic plunges. For more advanced riders, SheiKra, Montu and Scorpion guarantee an adrenaline rush . The latest addition is Falcon’s Fury, the tallest freestanding drop tower in the country. Each rider goes headfirst at 60mph as a falcon going after prey. If there is time to spare while in Tampa, enjoy a Segway tour of the downtown area. The Magic Carpet Glide Segway Tour alongChannelside Bay Plaza is a great way to view the city in comfort. Riding a Segway does not require balance or complex maneuvering skill. After a ten minute training within a warehouse, riders hit the pavement. There are two outstanding restaurants to checkout. The historical Columbia Restaurant offers exquisite Cuban cuisine. Guests will be mesmerized upon entering the open courtyard dining area withbold white columns, colorful art and tile allunder a Cathedral ceiling. It is the oldest continuously operated restaurant in Florida and the oldest Spanish restaurant in the United States. Renowned for its collection of more than 1,000 Spanish wines, fresh mojitos with sugar cane and tableside Sangria, guests will enjoy both beverages and authentic Cuban and Spanish fare. For some authentic Italian food, visit Bella’s Italian Café in the SoHo district. The restaurant boasts of an oak burning stone oven, crafted in Milan Italy. Enjoy from a variety of pastas such as Pear Sachet, which consists of pasta pouches stuffed with pear, robiola, ricotta and parmesan cheeses. It is served in a creamy saffron sauce . Courtyard by Marriott Downtown is centrally located to all activities, including downtown boat tours and The Florida Aquarium. After having exploredTampa, head to Marco Island Marriott Beach Resort Golf Club and Spa. Travelers will glory in seaside luxury at the resort, which sits onthree miles of Southwest Florida beach. The rooms providetotal comfort with plush bedding, delicate sandalwood scented bath products and breathtaking views of the pristine beach. Guests will be relinquished from all worries and feel stress free within and around the Balinese style resort. It is island life at its best. The large pool area is surrounded by lush tropical landscape making it the perfect place of play for the young and young at heart, with ample lounge chairs for sunbathers. Just beyond the pool is the beach and sparkling clear blue Gulf water. The private beach offers guests shelter underthatched Chickee Huts. The resort holds a Sunset Celebration each evening on the beach where afire dancer performs to the beat of jungle drums. For some water adventure, choose from various activities as guided Waverunner Excursions, Parasailing, or a catamaran boat tour. Recommended is the catamaran boat tour with a private sailing and shelling experience on clear blue gulf waters. A maximum of six can come aboard the scenic water excursion, with an informative captain who offers insight into local marine life. There is ample onsight diningfrom outdoor beach bars to upscale indoor restaurants such as such Koral, offering fusion and sushi. The total experience of the resort makes it the perfect vacation destination. Another must is to experience the Everglades while vacationing in Marco Island. It is one of the largest subtropical wetlands in the area and known forits abundance of alligators. These prehistoric behemoth creatures claim the area and are fascinating to observe in their natural habitat. Take a drive down a dirt road and get out with caution. 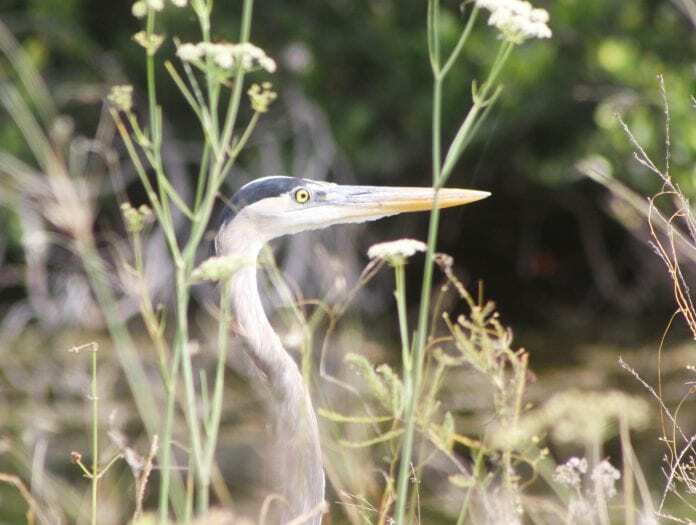 Be on the lookout fora Great Blue Heron, awhite Ibis wading in the water or Florida box turtle turtles soaking in the sun. It is an inside look into one of nature’s most impressivemassive marshland ecosystems. For an even closer look, take advantage of an airboat tour. Riders will weave through the Sawgrass marshes and mangrove forests, getting a different view of wildlife. Wooten’s Everglades Airboat Tours offers some greatwater tours along swamp buggy tours through cypress forests. Head to Southwest Florida for a vacation filled with wildlife, beach fun and luxury.